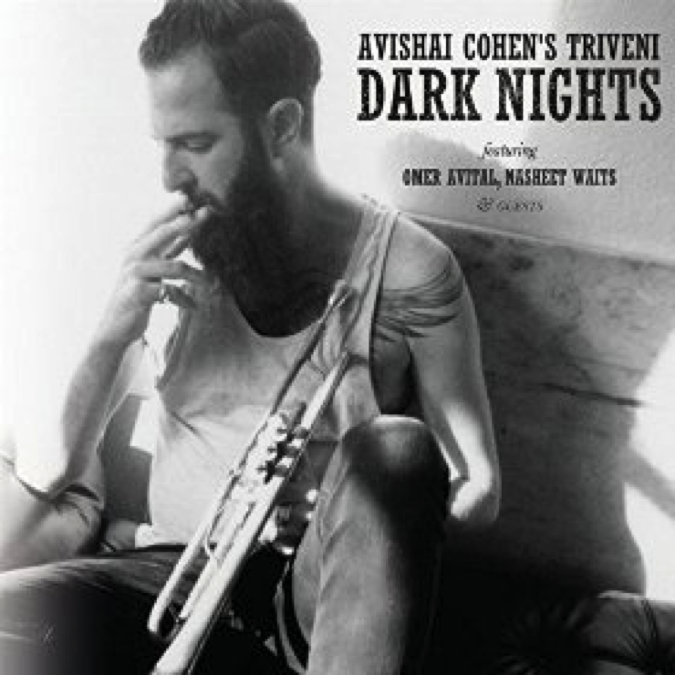 Fresh off an impressive sideman appearance with Mark Turner on his recent Lathe of Heaven, trumpeter Avishai Cohen partners once again with long-time associates bassist Omer Avital and drummer Nasheet Waits on a collection of mostly slow-burning, simmering cuts that offer subdued intensity with just a hint of something sinister underneath. The opener, “Dark Nights, Darker Days,” will be enjoyed especially by fans of early ‘70s Miles, as it’s got a sturdy, deliberately-paced funk/rock beat by Waits that allows plenty of room for Cohen to explore the melody, at times with the assistance of some well-utilized electronic effects, creating the feel of an electric guitar shadowing Cohen’s acoustic trumpet. The song truly does have a menacing undercurrent to it, another parallel to the kind of thing one hears on the quieter parts of the Prince of Darkness’ Live-Evil. Cohen has great technique, with a clarity to his playing that is impressive, even in the upper register. He also brings a good deal of emotional content to his craft, skillfully drawing out the yearning, melancholy aspects of these songs. And Avital and Waits are a sympathetic, supportive presence, with just the right amount of elasticity to prevent things from getting too monotonous. Even so, with the majority of the record’s tracks tending to stay with slow-to-middling tempos, a bit more zest and fire from time to time would have been welcome. A hint of what the group can do comes in on the third track, “Betray,” especially when Waits goes into funk overdrive about midway through the song, and it feels as though they’re just about to blast off. But this level of energy is mostly the exception to the rule here. And the standards on the record, whether “Goodbye Pork Pie Hat “ or “I Fall in Love too Easily,” while quite well played, don’t offer anything distinctive. So all in all, a satisfying recording, and one that might find a place on the playlists of those who need something to wind down to after a long night out. Troy, you're spot on! A highly enjoyable album without pretence. Memories of the 60s and 70s.